Doctors of the Church | ADULT CATECHESIS & CHRISTIAN RELIGIOUS LITERACY IN THE ROMAN CATHOLIC TRADITION: hosting ONLY True Christians!! !, or "How to think Catholic!!" -“The angel appears to St Monica”, by Pietro Maggi, , painting in Saint Augustine chapel, in the right hand transept of san Marco church in Milan (Italy), please click on the image for greater detail. With these words St. Augustine narrates the exchange between his mother St. Monica and an unnamed bishop. Monica weeps to the saintly bishop, urging him to purge her son of his errant thinking. Because of his intelligence and his studies in rhetoric, Augustine enjoyed worldly success, but his moral profligacy made his inner life tumultuous. He likely hoped Manichaeism—the errors referred to in the above passage—could acquit him of intemperance within the inner court of his conscience. Monica knew better, or at least she knew that this heresy kept Augustine withdrawn from the true faith. Augustine’s successful career advanced him to Rome and then Milan, but it failed to placate her vexations about his well-being. Monica’s personal piety and progress in Christian virtue informed her to see through that veneer into the rot of his inner life. Indeed, Augustine lived in great spiritual danger, nurturing disordered loves and rejecting the truth of the gospel. He covered over his deep-seated unhappiness and moral fragility with theories of reality he imagined would exonerate him of any moral responsibility. Monica shed tears over genuine evil. These were not worldly tears of self-pity brooding over failures in her maternal character. Neither did Monica blame the harshness of the world for her son’s character. Monica’s were profitable tears, and she sought a remedy in prayer and through a holy bishop. In her grief she sought to move Augustine to repentance. The bishop, in his spiritual prudence, knew the best course: his intervention at that time would be inopportune and an impediment to the prodigal Augustine’s future conversion. That her tears did not move the saintly bishop to action does not imply they were in vain. On the contrary, they became a powerful intercessory prayer God was most disposed to answer—and he did. He was disposed to answer not because he needed any convincing, but because it is good for us to seek aid from God and receive it. In this case, Monica sought aid not only for herself, but for another. Such was the prophecy of the bishop. Because of Monica’s tearful prayers to God for her son, Augustine would not be lost. God is disposed to answer our prayers, especially when we seek virtue for ourselves or others. St. Dominic himself was known to weep while praying: “what will become of sinners!” God is so disposed because it is good for us to seek from him what is truly good for ourselves and others. By doing so we depend on God, the giver of every good thing. -from a homily on the Gospels by Saint Gregory the Great, pope, Second Reading, Office of Readings, Liturgy of the Hours, for September 29th. “You should be aware that the word “angel” denotes a function rather than a nature. Those holy spirits of heaven have indeed always been spirits. They can only be called angels when they deliver some message. 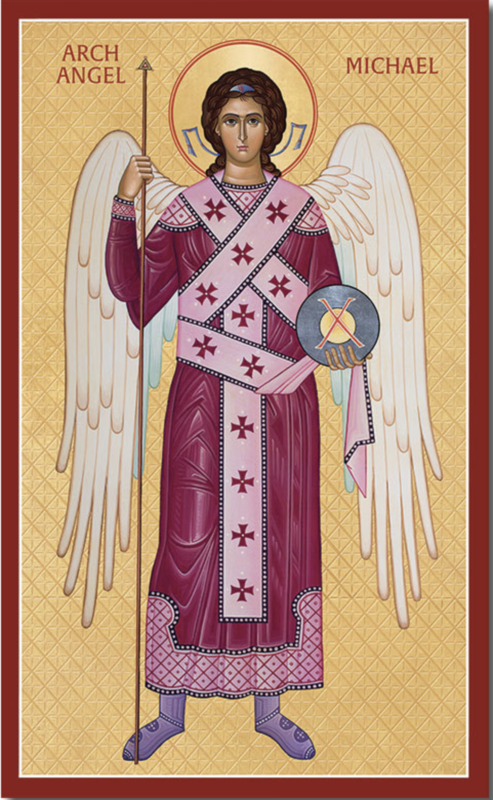 Moreover, those who deliver messages of lesser importance are called angels; and those who proclaim messages of supreme importance are called archangels. And so it was that not merely an angel but the archangel Gabriel was sent to the Virgin Mary. It was only fitting that the highest angel should come to announce the greatest of all messages. Whenever some act of wondrous power must be performed, Michael is sent, so that his action and his name may make it clear that no one can do what God does by His superior power. So also our ancient foe desired in his pride to be like God, saying: I will ascend into heaven; I will exalt my throne above the stars of heaven; I will be like the Most High. He will be allowed to remain in power until the end of the world when he will be destroyed in the final punishment. 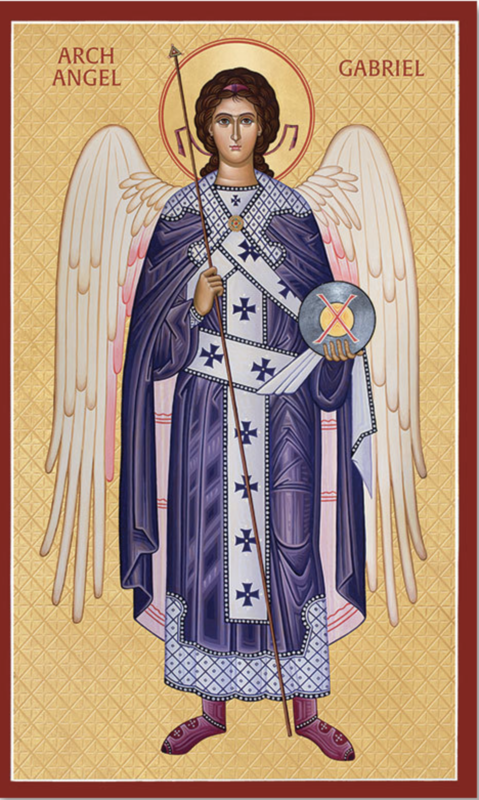 Then, he will fight with the archangel Michael, as we are told by John: A battle was fought with Michael the archangel. 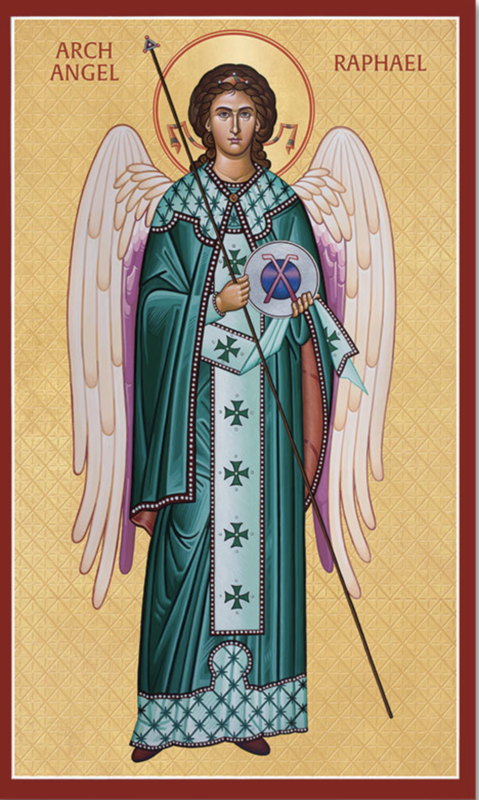 So too Gabriel, who is called God’s strength, was sent to Mary. He came to announce the One Who appeared as a humble man to quell the cosmic powers. Thus God’s strength announced the coming of the Lord of the heavenly powers, mighty in battle. “There is a story about how St. John of the Cross celebrated Christmas: “On Christmas day . . . St. John of the Cross, while at ease with his brethren at recreation, took the image of the Holy Infant from the Crib and danced round the room, singing all the while: “Mi dulce y tierno Jesús/‘My sweet and tender Jesus,/ If Thy dear love can slay,/ It is today’”. The austere Carmelite mystic of the sixteenth century, known for his spiritual writings and his reform of the Carmelite Order, burst out in song and dance like David before the Ark of the Covenant. God’s presence sometimes makes great men childlike, even giddy. Saint John of the Cross, however, as his name suggests, knew something of the brutality of life as well. Some of his Carmelite brethren went so far as to imprison him and publicly punish him out of opposition to his reforms. And through the sufferings, St. John held fast to Christ. As he exclaims in Counsels of Light and Love, “Thou wilt not take from me, my God, that which once thou gavest me in Thine only Son Jesus Christ, in Whom Thou gavest me all that I desire; wherefore I shall rejoice that Thou wilt not tarry if I wait for Thee” (71–2). The Incarnation fulfills all our desires—if only we will ponder the manger in wonder. The baby Jesus is God’s perfect gift to us—if only we will wait patiently for His greatness to be manifest in our lives. “…we will come under the final judgment of God and are subject to the constraints and possibilities of that judgment. We’re invited to avoid hell and find heaven, a view that isn’t typically welcome among our secular contemporaries, but which has implications for them as well as us. The “gentlemen’s agreement” of secular liberalism is that we ought not attempt to find public consensus upon questions of life after death or the dogmatic truth content of revealed religion. In some ways dogma is considered impolite in a secular context because it could be seen as politically or socially divisive. Although the opposite is true in some real sense because dogma tends to outlive many passing cultures and is a force of unity, vitality, and the renewal of intellectual life. Thinking through traditional dogmas invites us as modern people to think about the longstanding vitality of those doctrines—why they’re pertinent to persons throughout time and history and a stimulus for the intellectual life. Knowledge of what was profound wisdom in a forgone era is typically the best source of illumination for anyone who wishes to re-articulate the conditions of meaning for the future. The temptation in our own age is to think the opposite, as if we need to be in some kind of radical rupture with the past in order to articulate the conditions of meaning for the future. This is a pattern you find in Descartes or in the opening pages of Kant’s Critique of Pure Reason or in Nietzsche in a more radical way. But you have people who tend to be both novel and preserve the past; I think this is true of Plato. Plato was very radical, but he also wanted to preserve the heritage of the past Greek religious traditions that came before him. Aristotle, too, is typically very careful in the first book of most of his works to show the insights that come before him and then he introduces a new order of learning and thinking. 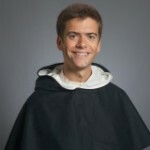 In general the great medievals like Bonaventure and Aquinas show how the past has contributed to the ongoing project of what they’re undertaking. In our own era Alasdair MacIntyre has been exemplary in showing how this kind of recovery and articulation of principles allows renewed engagement with the contemporary world around oneself. I think Thomism functions best as an identification of principles and an engagement with contemporary intellectual questions. I may be optimistic, but I think there are many modern questions Thomism addresses and answers. Thomism helps provide a realistic philosophy of nature, what it means that there are changing substances around us that have identifiable properties by which we can provide taxonomies for the natures of things and understand the ways in which they act upon each other. Aquinas is a phenomenal student of human nature, so he takes very seriously man’s physicality and animality, but also shows his emergent rational properties and freedom in their distinctiveness. He shows there are immaterial features to human knowledge and freedom that denote the presence of an immaterial form or spiritual soul. There’s also the whole architecture of virtue ethics Aquinas provides that is increasingly having an influence in the circles of analytical ethics. His study of the cardinal virtues—justice, prudence, temperance, and fortitude—provides terrific insight into the nature of a person. We’re longing for that in a culture in which there’s a great deal of intellectual instability and nostalgia for consensus. Often people want to impose consensus artificially through politics, which is a very superficial way to gain unity. That politics pervades the university, which is in crisis because there is deep absence of consensus about reality. Aquinas’s general anthropology and moral theory can give us the basis for a much deeper agreement about what human beings are and the structure of moral life than can any identity politics. Religion doesn’t go away when you banish it from the university. It comes back in other forms, some of which are perfectly innocuous, but others of which are very dangerous. Aquinas is very realistic about the possibilities of pathological religious behavior; he calls it superstitio, the vice of disordered religion. The human being can become, very easily, irrationally religious, as, for example, in the cases of a banal religious emotivism or religiously motivated terrorism. The great conflicts we have between religionists and secularists, it seems to me, are very helpfully addressed by the harmony of reason and revelation in Aquinas, which allows the soul to flourish because the soul is meant for transcendence. Modern secular culture is asphyxiating. The soul needs to be open to the transcendent mystery of God to really experience the full freedom of its own intellectual life, its own voluntary life, its aspiration to the good, and its deepest desires for transcendence and meaning. A culture without an intellectual religious horizon is a truncated culture, but a culture that’s religious at the expense of the intellectual life is also a very unhealthy culture—so how do you get that right? I think Aquinas really helps us understand our natural religious aspirations in a balanced way. 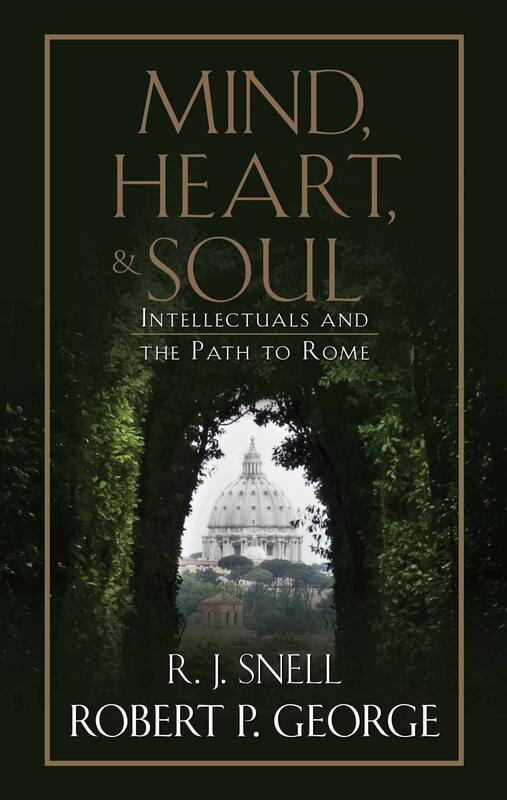 -George, Robert P.. “Mind, Heart, and Soul: Intellectuals and the Path to Rome” (Kindle Location 1115-1153). TAN Books. Kindle Edition. The first parish Kelly, Mara, & I attended in Wisconsin is named St Albert the Great. I am still fond. “On March 7, 1274, Saint Thomas Aquinas died. His teacher Saint Albert the Great was around 80 years old at the time. Tradition tells us that St. Albert was profoundly affected by St. Thomas’ death, as seems natural for men whose intellectual relationship and relationship in the Order was so close. In fact, according to the process of canonization of St. Thomas, Br. Antonius de Brixia reports that St. Albert received supernatural knowledge of St. Thomas’ death the very hour he died. Saint Albert’s words relating this death to the brethren in Cologne were as follows: “I tell to you all grave news, for Br. Thomas Aquinas, my son in Christ, who was the light of the Church has died, and this has been revealed to me by God.” Saint Albert was, in many ways, the intellectual father of St. Thomas, who received his teaching and carried it forward. Saint Albert, therefore, must have been proud of all that St. Thomas had accomplished in the short span of years he had been allotted. Soon after St. Thomas’ death, the bishops Stephen Tempier of Paris and Robert Kilwardby of Canterbury, himself a Dominican, began to issue condemnations that, while not mentioning St. Thomas by name, censured several positions held by him. Through these condemnations, St. Thomas was associated with the Averroism of Siger of Brabant, the primary target of Tempier’s condemnations. Given that Siger contradicted both St. Thomas and St. Albert and that St. Thomas wrote explicitly against Siger, St. Albert was understandably outraged by this association. To add insult to injury, the condemnation issued by Stephen Tempier was promulgated on March 7, 1277, the anniversary of the death of St. Thomas. Seeing the good name of his student at risk, the old teacher made the long journey from Cologne to Paris. The distance between the two cities is between 250 and 300 miles. Saint Albert made this journey in the middle of winter on foot—the early constitutions forbade travel on horseback—at the age of 84. -Ernest Board, Albertus Magnus expounding his doctrines of physical science in the streets of Paris ca. 1245. Wellcome Collection (CC BY 4.0). Now is a time for holiness and saints within the Church. Would that we had a Bernard now to preach a Crusade of Holiness. It has often been the case, when the Church has faced its greatest crises, its greatest saints have arisen. “Born in 1091, died in 1153, made Abbot of Clairvaux in 1115, St. Bernard exercised strong influence on 12th century Europe. When the Crusader State of Edessa fell in 1144, Pope Eugene III, who himself had been a monk in Clairvaux, called on his spiritual father to preach a Second Crusade to bring succor for the distressed condition of the Holy Land. Abbot Bernard girded on the sword of the Divine Word and inspired many for the overseas Crusade. “How can you not know that we live in a period of chastisement and ruin? The enemy of mankind has caused the breath of corruption to fly over all regions; we behold nothing but unpunished wickedness. Neither the laws of men nor the laws of religion have sufficient power to check the depravity of customs and the triumph of the wicked. The demon of heresy has taken possession of the chair of truth, and God has sent forth His malediction upon His sanctuary. “Oh, ye who listen to me, hasten then to appease the anger of Heaven. But no longer implore His goodness by vain complaints; clothe not yourselves in sackcloth, but cover yourselves with your impenetrable bucklers. The din of arms, the dangers, the labors, the fatigues of war are the penances that God now imposes upon you. Hasten then to expiate your sins by victories over the infidels, and let the deliverance of holy places be the reward of your repentance. “If it were announced to you that the enemy had invaded your cities, your castles, your lands; had ravished your wives and your daughters and profaned your temples – who among you would not fly to arms? Well, then, all these calamities, and calamities still greater, have fallen upon your brethren, upon the family of Jesus Christ, which is yours. Why do you hesitate to repair so many evils; to revenge so many outrages? Will you allow the infidels to contemplate in peace the ravages they have committed on Christian people? “Remember that their triumph will be a subject for grief to all ages and an eternal opprobrium upon the generation that has endured it. Yes, the living God has charged me to announce to you that He will punish them who shall not have defended Him against His enemies. “Fly then to arms! Let a holy ire animate you in the fight, and let the Christian world resound with these words of the prophet, ‘Cursed be he who does not stain his sword with blood!’ “If the Lord calls you to the defense of His heritage think not that His hand has lost its power. Could He not send twelve Legions of Angels or breathe one word and all His enemies would crumble away into dust? But God has considered the sons of men, to open for them the road to His mercy. His goodness has caused to dawn for you a day of safety by calling on you to avenge His glory and His name. 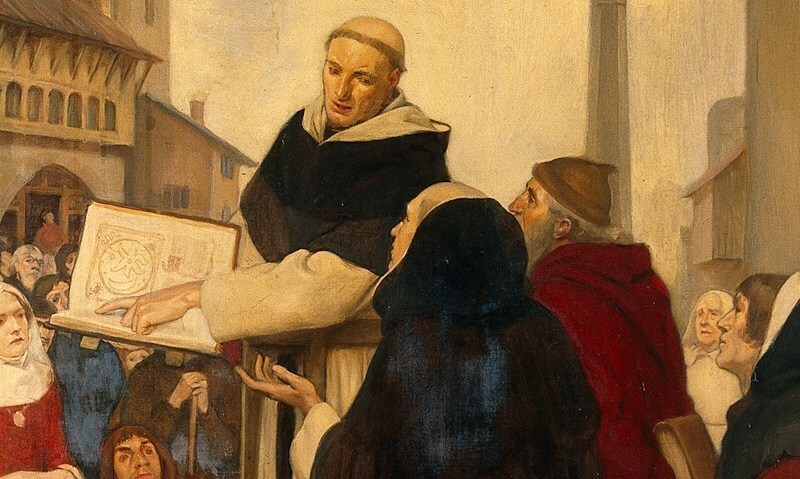 All the barons and knights applauded the eloquence of St. Bernard and were persuaded that he uttered the will of God. Louis VII, deeply moved by the words he had heard, cast himself at the feet of St. Bernard and demanded the Cross. Then, clothed with this sign, he exhorted all those present to follow his example. The hill upon which this vast multitude was assembled resounded for a long period of time with the cries of Deus vult! Deus vult! (God wills it). Then, many counts and a crowd of barons and knights followed the example of the King. 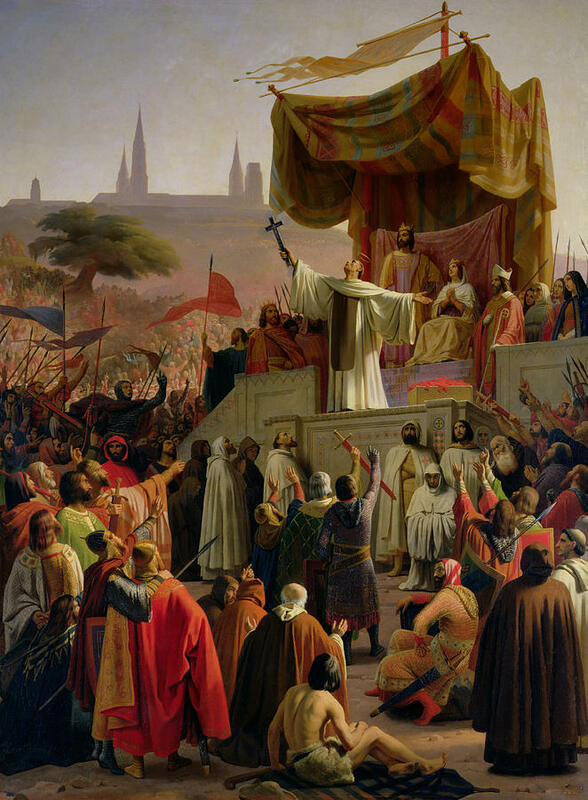 Several Bishops threw themselves at the feet of St. Bernard, taking the oath to fight against the infidels. The crosses that the Abbot of Clairvaux had brought were not sufficient for the great number who asked for them. He tore his vestments to make more. Today, a cross marks the spot on the hill in Vèzelay where Bernard preached. “O praise the Lord, all ye nations: praise Him, all ye people. 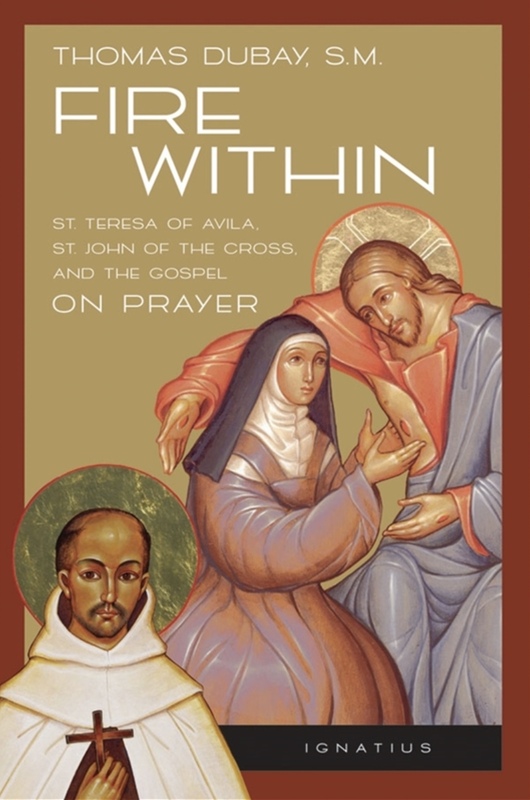 I have been reading a great deal about Teresa of Avila and John of the Cross, recently. “In recalling today’s feast of the glorious and spirited reformer St. Teresa of Avila, I can’t help but recall, as a Dominican myself, the great gifts that the Order of Preachers and the Carmelites together have given to the Church. This is particularly noted in the interaction between the intellectual contributions of the Dominicans and the mystical legacy of the Carmelites. One of the most dynamic engagements between the two Orders began in Spain’s famed siglo de oro, the Golden Age. During this period, Spain experienced an incredible flourishing in nearly all of the liberal arts and also a revival in philosophical and theological Scholasticism and Catholic mysticism. Catholic Spain had become arguably the stronghold of the Faith after the onset of the Reformation, especially with the unification of the peninsula by los Reyes Católicos, Fernando II of Aragon and Isabella I of Castile. As a result, an orthodox and vibrant Catholic renewal was fostered. 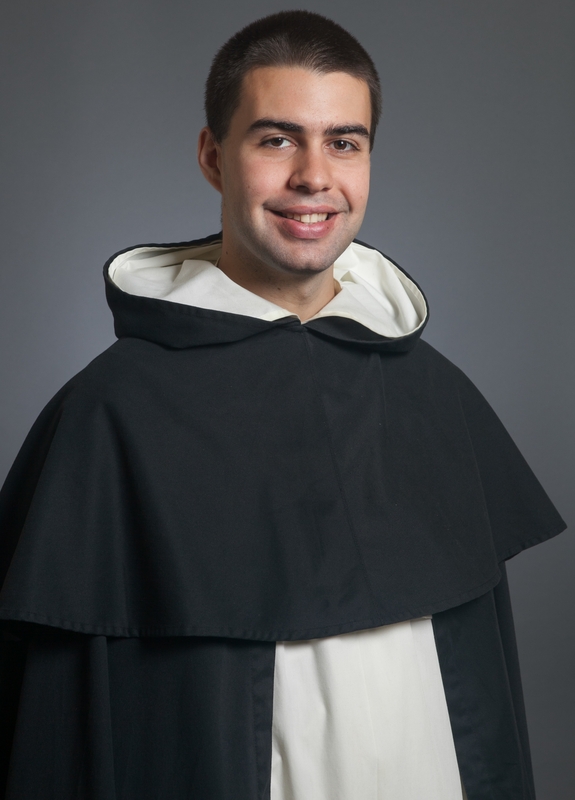 With regards to the intellectual life, the Dominican Francisco de Vitoria helped establish the historic tradition of academic excellence and made expansive developments in law and philosophy at the school of Salamanca. 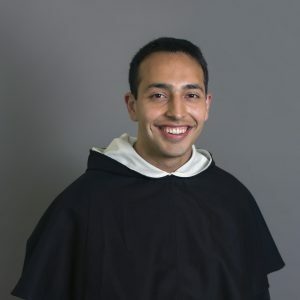 After him would come many learned friar preachers, like Domingo de Soto and Domingo Bañez, seeking to preach not only to Spaniards but to all those they might meet in the New World. In mysticism, we find the two chief figures, both Carmelites, St. John of the Cross and St. Teresa of Avila. These two legendary reformers were for the most part not directly involved with the schoolmen but neither were they far removed from them. Their culture still retained a dogged commitment to the medieval understanding of the integral nature of the Catholic life; one did not separate intellectual study and the mystical life with as strong a tendency as is common today. For example, St. Teresa herself was a voracious reader, and she was not afraid to make this known, which was bold for a woman in the sixteenth century. In addition, she insisted that her sisters “go from time to time beyond their ordinary confessors and talk about their souls with persons of learning, especially if the confessors, though good men, have no learning; for learning is a great help in giving light upon everything” (The Way of Perfection, Ch. 5). Especially as the reformer of the Carmelite monasteries, she knew that establishing a firm intellectual foundation grounded in the font of the Church’s wisdom would be necessary if her reform was going to perdure. She would pick, for a large portion of her life, a succession of Dominican confessors and advisors trained in the rigorous intellectual tradition of St. Thomas Aquinas. The most famous of those that St. Teresa sought out was the aforementioned Domingo Bañez. He was her confessor for six years and her advisor off and on for many more. Jumping ahead a few centuries, we stumble upon a daughter of the holy Mother Teresa, St. Elizabeth of the Trinity. 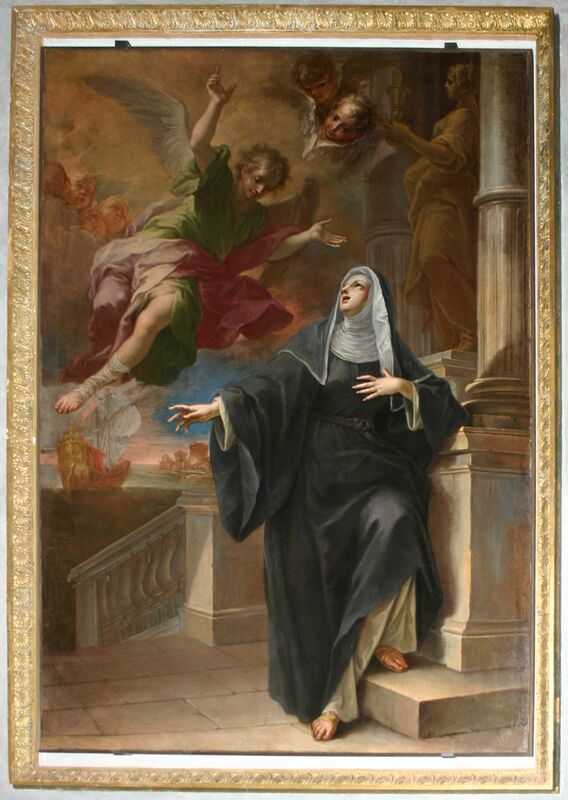 It was not the case for St. Elizabeth that she sought out a Dominican confessor or director, but it happened that Divine Providence allotted her one. The preaching of Fr. Irénée Vallée, a popular Dominican preacher in France at the time, captivated her, becoming one of the catalysts for her deep growth in the spiritual life. Saint Elizabeth spent a meager twenty-six years on this earth, so the development of her interior life happened rather quickly. Many of her writings attest to the great advances she made in the understanding of divine mysteries as a result of the doctrine she learned from Fr. Valleé. The friar also was edified by the future saint. He readily refers to her as his daughter. So, here too we see a similar edifying relationship between a Dominican spiritual director and a Carmelite nun. The last mention goes to the great spiritual master of the twentieth century, Fr. Réginald Garrigou-Lagrange. Father Lagrange is arguably most well known for his project of fusing the thought of St. John of the Cross and St. Thomas Aquinas in his spiritual theology. 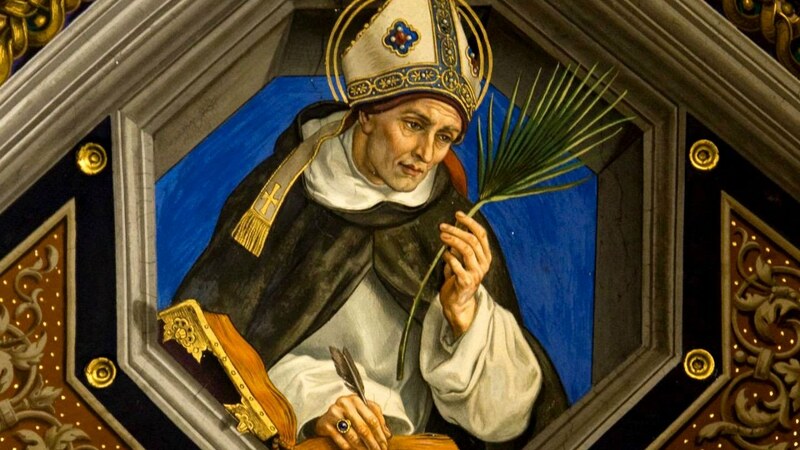 He recognized the obvious foundations of St. John’s mystical theology on Thomistic principles and thought that he could reunite these disciplines, which were becoming more and more disparate in modern times. He wanted to prove that the serious Christian could find spiritual nourishment in rigorous Scholasticism and the mystical tradition. In his project, Fr. Lagrange shows the fecundity of the relationship between the charisms of the two Orders. “There are many fascinating stories about St. Catherine of Siena. She once almost got her head cut off. Another time, she caught the head of someone else just after it was cut off. Jesus literally removed her heart and replaced it with is own; she had the scars to prove it. Demons obeyed her. Popes sought her counsel. Jesus taught her to write. She even gave up wine as a child. The list goes on. Those accustomed to history may see this as another list of fanciful legends which time has attached to a real name. But what is unique about St. Catherine’s hagiography is that her life was written by her spiritual director, Bl. Raymond of Capua, who lived, worked, and suffered alongside her for six years. This makes his autobiography a vivid testimony to a remarkable saint. His work comes alive in unique and gripping ways. One of the more powerful themes in Bl. Raymond’s writing is that of Catherine’s extreme devotion. Every waking moment of hers, ill or healthy, alone or with others, was devoted to God. Sometimes this took the form of tireless service to neighbor, sometimes of ecstatic prayer, sometimes of preaching. Through it all she was permeated with a positive desire to suffer for the good of God’s kingdom. She was so distressed by the sin in the world that she would suffer anything alongside Jesus so as to join in his redemptive passion. One of my favorite stories about her is one that, unfortunately, I seldom hear told. Bl. Raymond recounts for us a conversation he had with her about Jesus’ prayer in Gethsemane. She explained to him that Jesus from the moment of his conception was perfect, and so always desired, with everything he had, to complete his mission, up to and including his passion and death. This desire, while unfulfilled, led to an immense suffering. When he prayed in Gethsemane, “Let this cup pass from me” (Mt 26:39), he was not asking for a reprieve from death, but rather, that the agony of his incomplete mission might be removed soon, by his final passion. But, in obedience, he accepted whatever timing the Father might choose, adding “But not what I will, but what you will” (Mt 26:39). In St. Catherine’s view, Jesus’ pain stemmed not from a fear of death, but from the very opposite, from his having something more to suffer. Catherine’s desire to suffer for God was so great that she could see in Jesus a desire only to drain his cup of suffering by completing God’s plan. In her mind, Jesus, as a man, could never have desired to leave the cup undrunk. We can imagine both Jesus and Catherine thinking no thought that was not directed to their final goal, ready to face all obstacles in order to suffer what must be suffered. I hesitate to pass judgment over the validity of the exegesis, but it certainly shows a remarkable woman. Raymond himself was incredulous when she told this to him. He explained to her how all the doctors interpreted it, that Jesus was, as a man, naturally afraid of death, and that he spoke on behalf of all the elect in order to encourage them. Catherine only answered that Scripture can speak to the weak and the strong in different ways, appropriate to each. The interpretation that made sense to Catherine was one of a Jesus who desired to suffer. But Scripture speaks to everyone. Raymond recounts that he was then silenced by her wisdom. The story had a similar effect on me. …In the Middle Ages, Catholic philosophers elaborated the thought that there exist transcendentals (transcendentalia) and that they transcended each of the ten Aristotelian categories. A doctrine of the transcendentality of the good was formulated by Albert the Great. His pupil, Saint Thomas Aquinas, posited five transcendentals: res, unum, aliquid, bonum, verum; or “thing”, “one”, “something”, “good”, and “true”. Saint Thomas derives the five explicitly as transcendentals, though in some cases he follows the typical list of the transcendentals consisting of the One, the Good, and the True. The transcendentals are ontologically one and thus they are convertible: e.g., where there is truth, there is beauty and goodness, also. In Christian theology the transcendentals are treated in relation to theology proper, the doctrine of God. The transcendentals, according to Christian doctrine, can be described as the ultimate desires of man. Man ultimately strives for perfection, which takes form through the desire for perfect attainment of the transcendentals. The Catholic Church teaches that God is Himself truth, goodness, and beauty, as indicated in the Catechism of the Catholic Church. Each transcends the limitations of place and time, and is rooted in being. The transcendentals are not contingent upon cultural diversity, religious doctrine, or personal ideologies, but are the objective properties of all that exists. “…(Catherine is a) permanent source of refreshment to the human spirit. She intuitively perceived life under the highest possible forms, the forms of Beauty and Love. Truth and Goodness were, she thought, means for the achievement of those two supreme ends. The sheer beauty of the soul “in a state of Grace” is a point on which she constantly dwells, hanging it as a bait before those whom she would induce to turn from evil. Similarly the ugliness of sin, as much as its wickedness, should warn us of its true nature. Love, that love of (hu)man for (hu)man which, in deepest truth, is, in the words of the writer of the First Epistle of St. John, God Himself, is, at once, the highest achievement of man and his supreme and satisfying beatitude. The Symbols of Catholic theology were to her the necessary and fitting means of transit, so to speak. …the fine allegory of the Bridge of the Sacred Humanity, of the soul in viâ on its dusty pilgrimage toward those gleaming heights of vision. “Truth” was to her the handmaid of the spiritualized imagination, not, as too often in these days of the twilight of the soul, its tyrant and its gaoler. Many of those who pass lives of unremitting preoccupation with the problems of truth and goodness are wearied and cumbered with much serving. We honor them, and rightly; but if they have nothing but this to offer us, our hearts do not run to meet them, as they fly to the embrace of those rare souls who inhabit a serener, more pellucid atmosphere. Among these spirits of the air, St. Catherine has taken a permanent and foremost place. She is among the few guides of humanity who have the perfect manner, the irresistible attractiveness, of that positive purity of heart, which not only sees God, but diffuses Him, as by some natural law of refraction, over the hearts of men. The Divine nuptials, about which the mystics tell us so much, have been accomplished in her, Nature and Grace have lain down together, and the mysteries of her religion seem but the natural expression of a perfectly balanced character, an unquenchable love and a deathless will. -St. Catherine of Siena (2013-07-31T23:58:59). 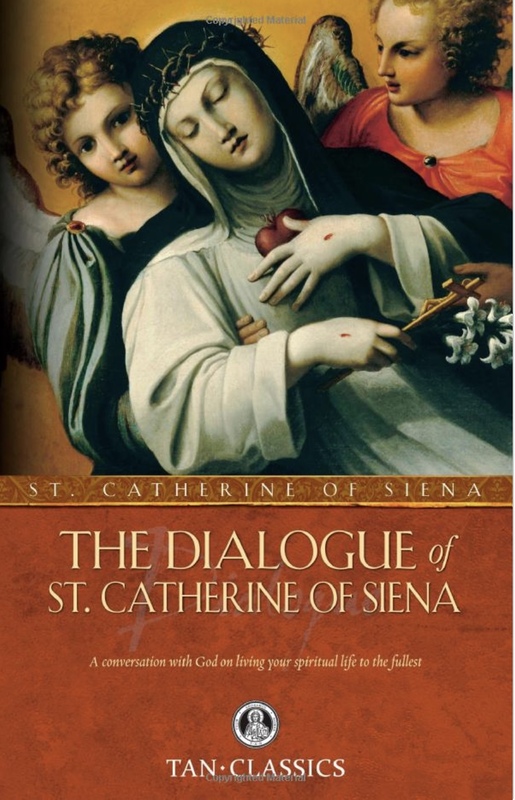 The Dialogue of St. Catherine of Siena (with Supplemental Reading: Catholic Prayers) [Illustrated] (Kindle Locations 438-454). TAN Books. Kindle Edition. “Because there is a crucial connection in the divine plan between advanced prayer and generous suffering, we may not omit to mention the extraordinary continuity and number of physical illnesses that beset Teresa from about the age of twenty until her death at sixty-seven. While most writers dealing with the teresian account of contemplation may see no particular significance in the saint’s sicknesses, spiritual direction over the years has taught this observer that there is a close correlation between suffering well and growth in prayer depth. Of itself, of course, suffering improves no one, for a person can become bitter in his woes. But trials borne with love and in union with the crucified Beloved make one grow by leaps and bounds. I have noticed this connection over and over through the years. Students of contemplation must attend to what cannot be coincidental, namely, that this woman who reached the heights of contemplative prayer also descended to the inner abyss of pain. From her early twenties Teresa was in daily discomfort, sometimes in agony.3 She suffered from fevers, tinnitus and a serious heart condition. So grave were some of her afflictions that she “always nearly lost consciousness” and sometimes completely lost it.4 Early in her autobiography she tells us that her heart pains were so severe that she felt she was near death: “For sometimes it seemed that sharp teeth were biting into me . . . because of nausea I wasn’t able to eat anything.” Teresa was so shriveled and wasted away from a daily purge prescribed for her that she considered her nerves to be shrinking, and she said this caused “unbearable pains”. All hope was given up for her life, because in addition to her heart problem she was also tubercular. This last diagnosis did not bother Teresa much because the “bitter torment” of her other problems had already drained and exhausted her. She added that the latter “were like one continuous entity throughout my whole body”.5 A little further on she noted that she was “almost never, in my opinion, without many pains, and sometimes very severe ones, especially in the heart”.6 In a letter to Don Antonio Gaytan she observed that “I was going to say I am well, because, when I have nothing the matter beyond my usual ailments, that is good health for me.”7 From a mere factual point of view one must marvel at what this woman accomplished in her supremely busy life and how it was that she lived as long as she did, for while she lacked the skilled medical treatment of our century, she by no means pampered her body. -Dubay, Fr. Thomas (2009-12-16T22:58:59). Fire Within (Kindle Locations 336-362). Ignatius Press. Kindle Edition. 3 Testimony 58, no. 16, p. 353. 4 Life, chaps. 3 and 4, pp. 38-45. 5 Ibid., chap. 5, nos. 7-8, p. 49. 6 Ibid., chap. 7, no. 11, p. 60. See also Marcelle Auclair, Teresa of Avila (New York: Doubleday, Image edition, 1961), pp. 73-74, for a more detailed description of one of these frightful illnesses. 7 Letter 57, p. 144. 8 E. Allison Peers tells us that Ana reports this “from their own mouths”. See his introduction to the Book of Foundations, vol. 3, p. xii. 10 Letter 19, p. 75.